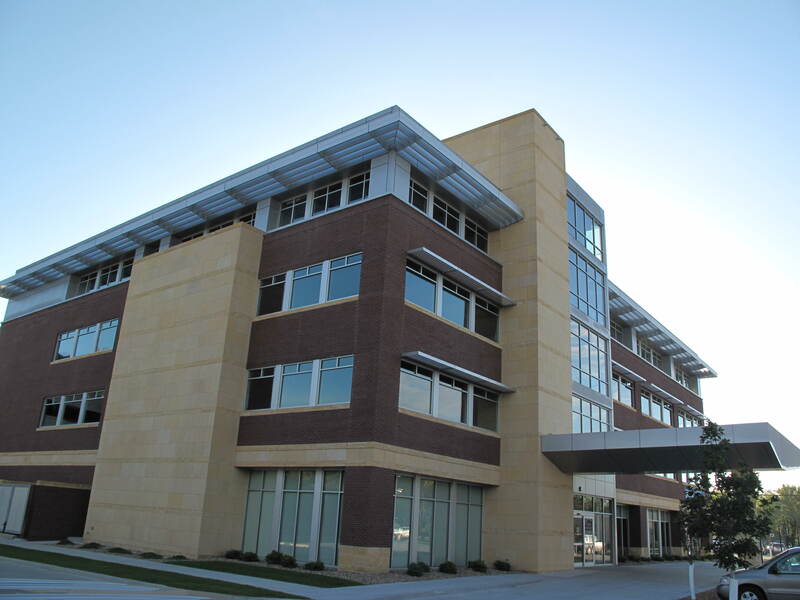 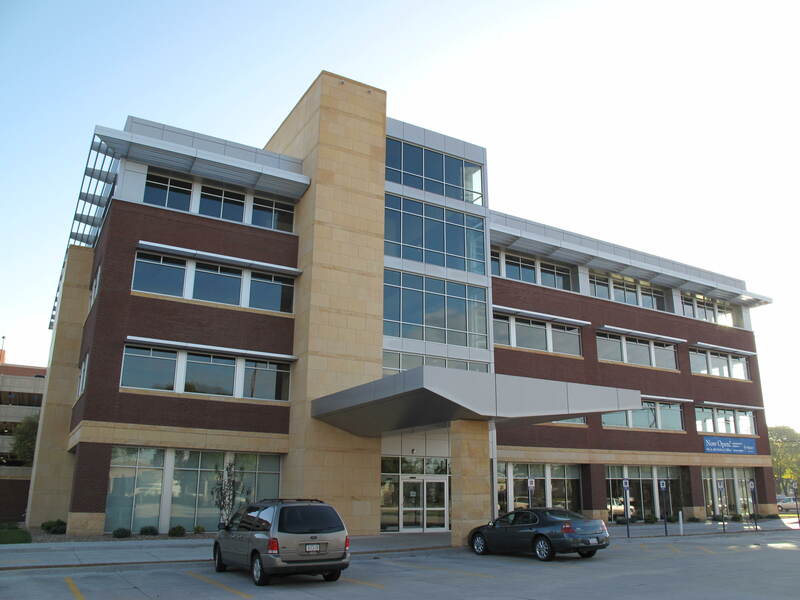 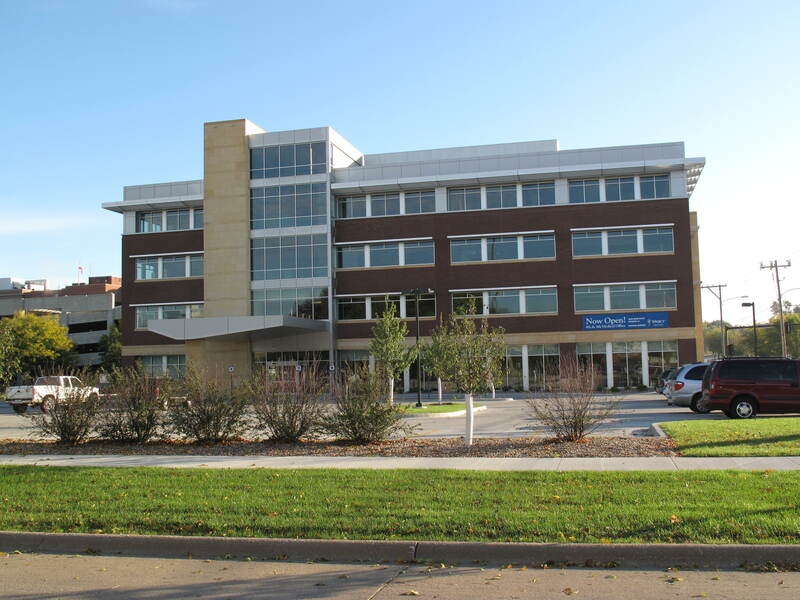 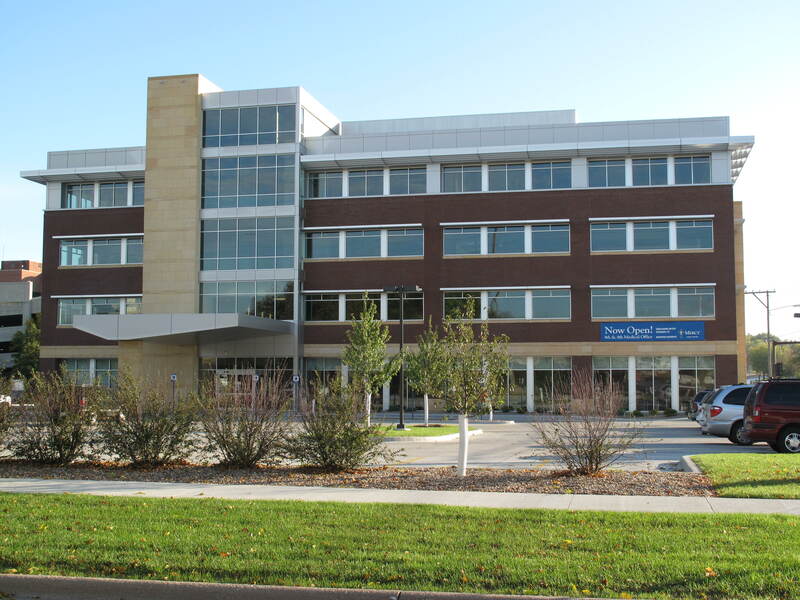 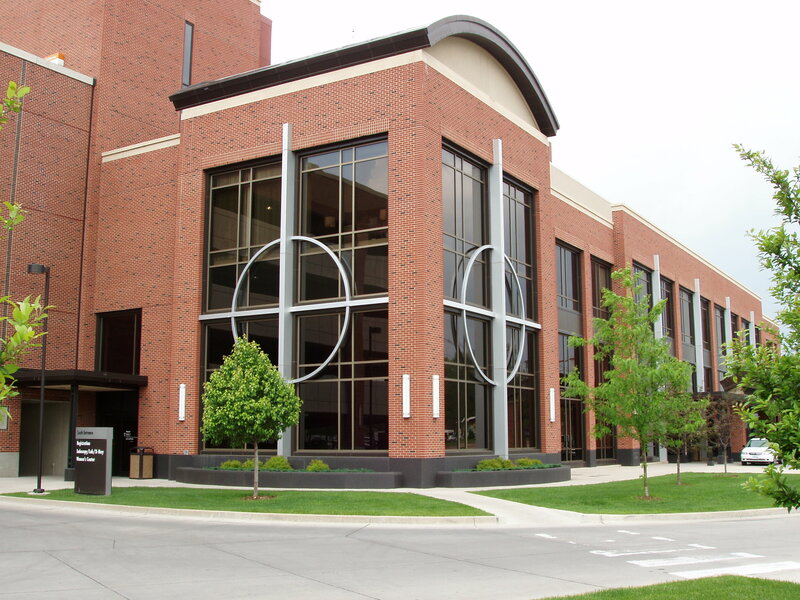 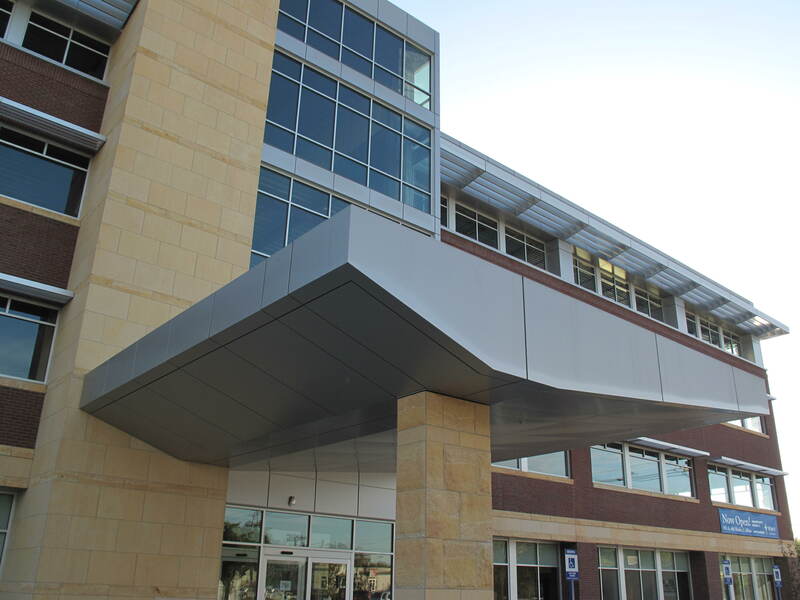 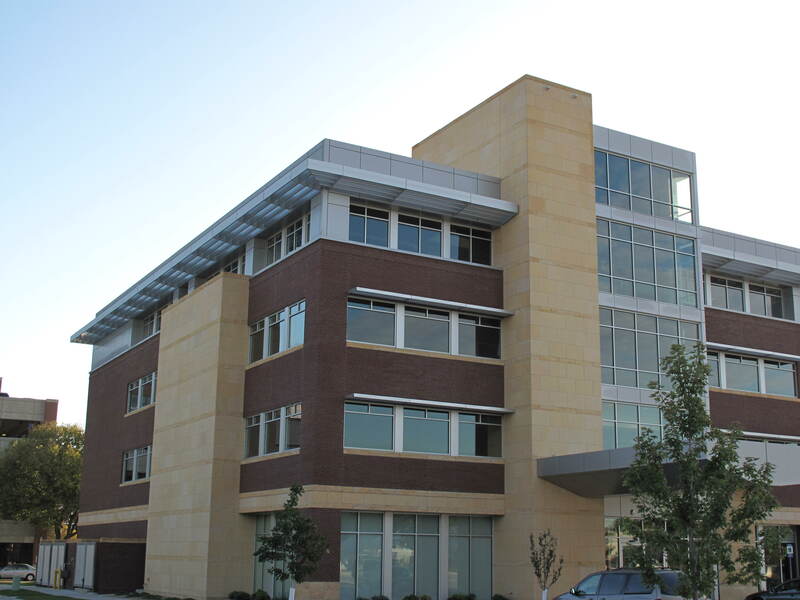 Metal Design Systems provided solutions and panels systems for various areas of the Cedar Rapids Mercy Hospital, skywalk, and medical office building. 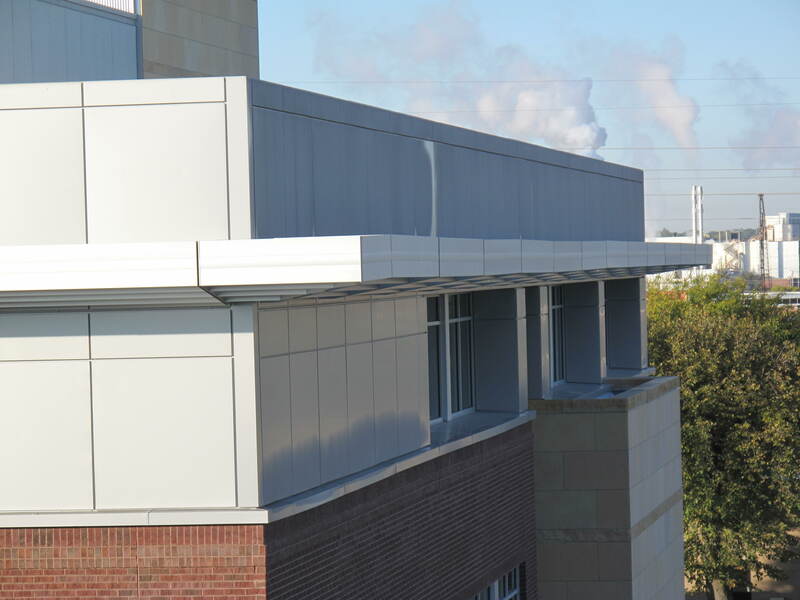 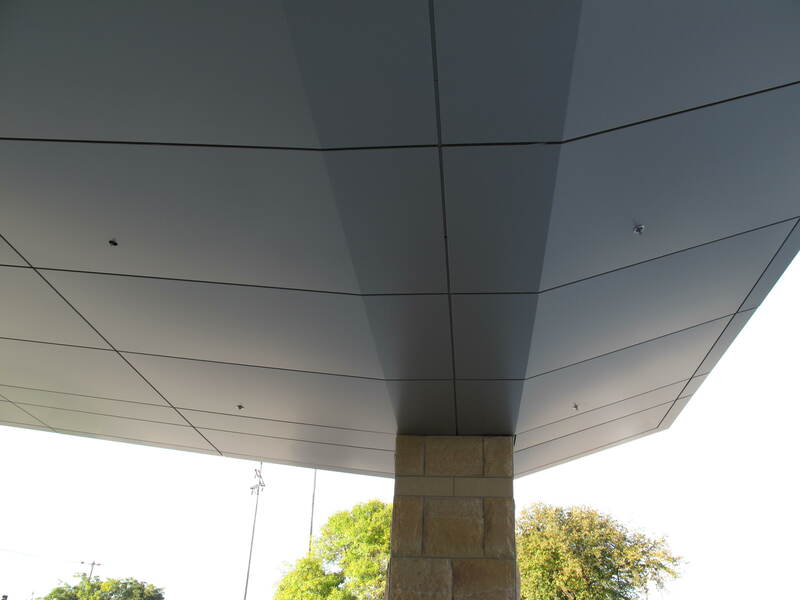 The medical office building features MDSI Series 20 Rainscreen on the fascia panels around the entire upper portion of the building, and infill panels in between the window mullions. 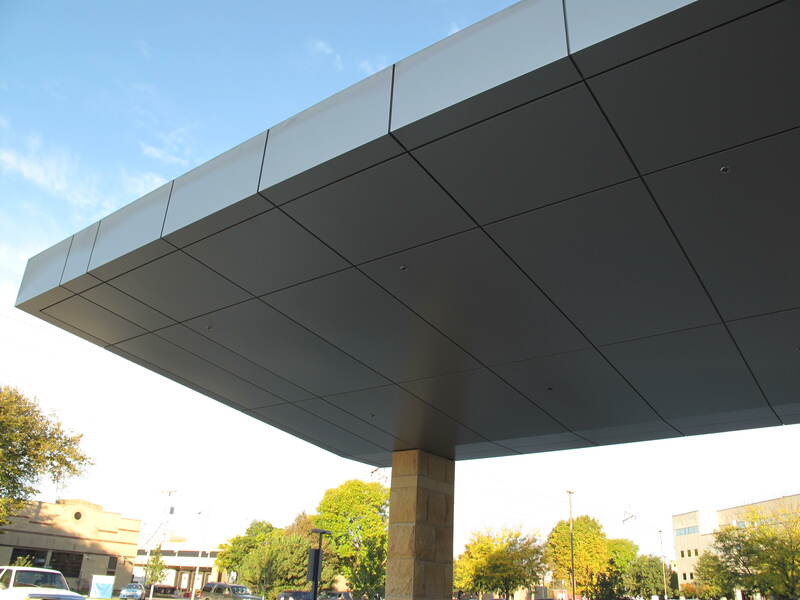 There are small canopy feature panels above the windows on the north elevation, and a large uniquely shaped, lighted canopy at the North entrance. 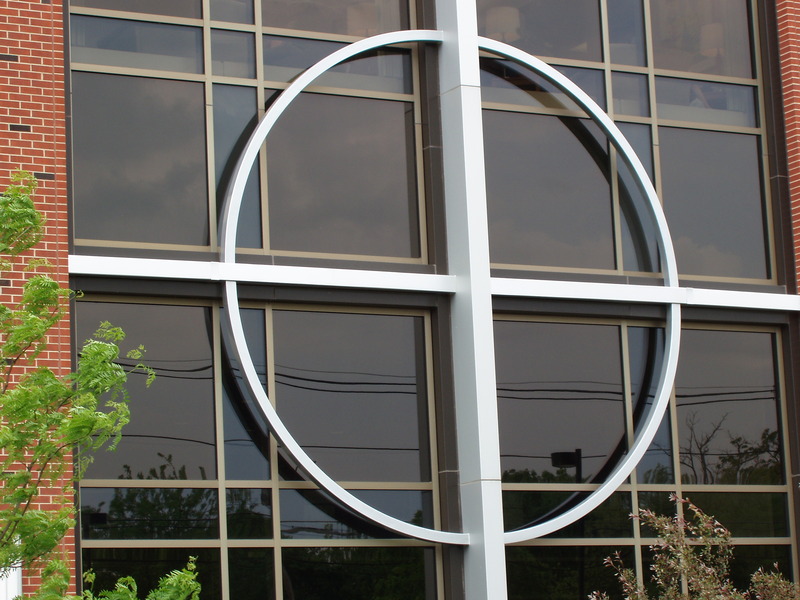 On the Hospital, Metal Design fabricated the large custom crosses with the circle around them for the windows, and all the panels on the skywalk, tying the hospital and medical office building together.